Anyone who knows me knows I love pork. I started The Porkaholics on Facebook just to share my love of this wonderful ingredient with like minded folk, a space where we could revel in the joys of honey roast hams, bacon breakfasts, jamon Iberico, Goan choriz, and everything pork that anyone encountered. 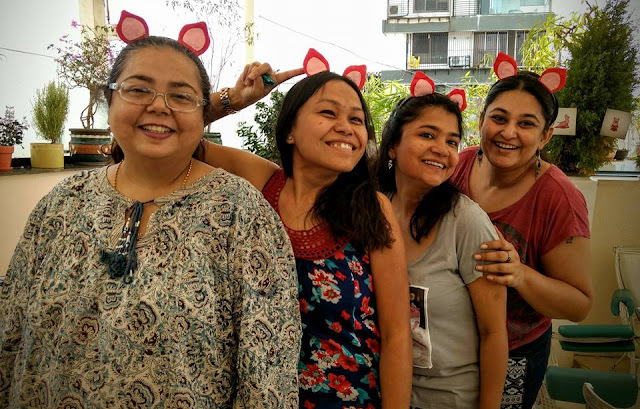 As with most food groups on Facebook off line meet ups soon began to happen and I organised a couple of lunches and dinners at restaurants known for great pork dishes, pork-centric pop ups with home chefs, and even pork based pot lucks. 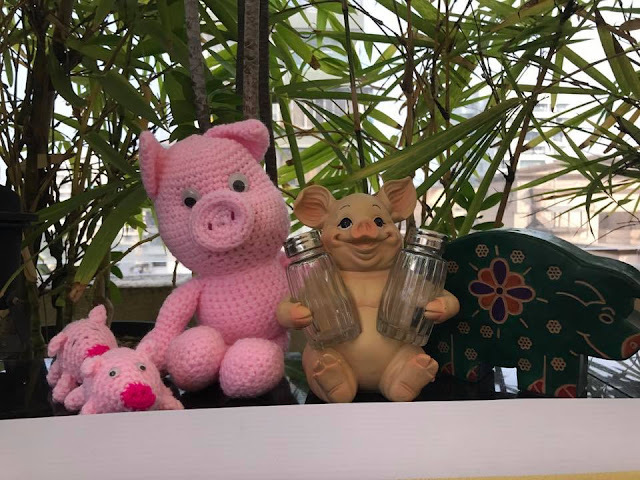 These events were always fun and well attended and soon members in other cities got together and had similar events celebrating the beauty that is pork. I was ready for something new. 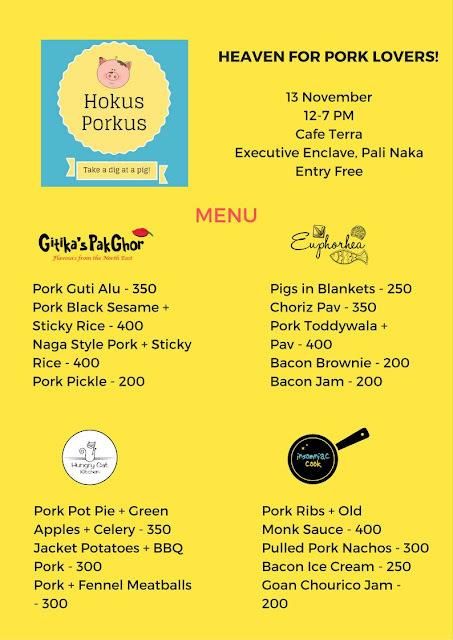 Next, I pinged a few of my pork loving friends who I knew were really good cooks, already doing a variety of pork dishes at their pop ups and other events. I pitched the idea to them and within minutes we were excitedly exchanging ideas. The bazaar was going to happen! 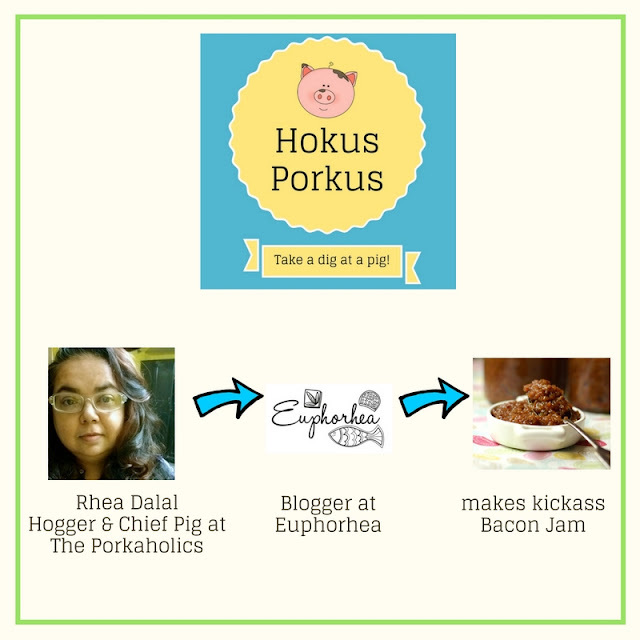 Ideas, options, and possibilities flew back and forth and finally Hokus Porkus was born. Menus were discussed, our venue was fixed, we had a date, and we were ready to tell the world. I was a pop up virgin. I've never cooked food myself and put it up for sale at an event. Yes, I've done pop ups under the Katy's Kitchen banner but there I was managing things, not shopping, prepping, cooking and packing. For Hokus Porkus I was on my own, as Euphorhea. I had no idea how to go about things beyond the basic idea that I would cook stuff and carry it all to the venue on that day of the event. I leaned on my team mates -Gitika,Subhasree and Madhumita - who were generous with advice, ready to hit the brakes on me every time my enthusiasm gave me unrealistic ideas, and perked me up when I felt I couldn't really do this on my own. To tell you the truth, I was never alone, they were always with me. And for that I am supremely grateful. 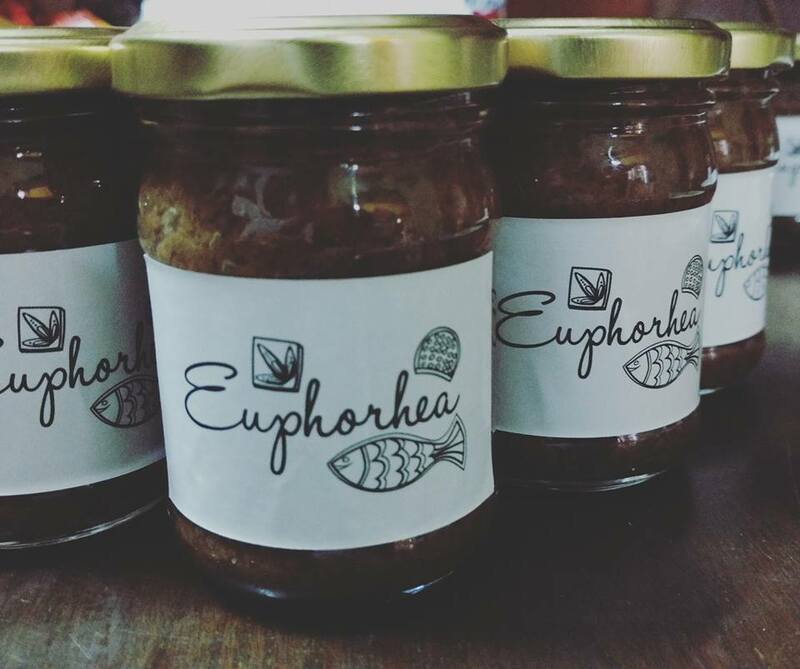 Euphorhea couldn't have asked for a better team to debut on to the pop up scene with. My menu featured a selection of some of my favourite pork dishes. Obviously! These were things I'd cooked often enough at home but now I was going to be cooking for the paying public. So more attention to detail, strict quality control, and a lot of organisation was required. On my menu I had Bacon Jam, Pigs in Blankets, Choriz Pav, and Bourbon Bacon Brownies. I tried to have a menu that could make a complete meal, plus I had a condiment that people could enjoy at leisure at home. Hokus Porkus had no budget for marketing and we decided to do everything ourselves at minimum cost. This part of doing Hokus Porkus was a huge learning experience for me because I knew nothing about sustained promotion on social media. After the first edition of Hokus Porkus, seeing the incredible turnout at the event I was just awed. It IS possible to successfully market your event without spending a bomb on marketing or hiring a professional. We had a lovely venue in Cafe Terra and very cooperative and supportive people running the place. I loved the open bright space - it looked so inviting! Many of my friends who'd not been there before fell in love with the place and have vowed to go back just for the relaxed ambiance and vibe. And the beer. The event itself was quite a success. On the whole things went really well and I was very heartened to see the incredible turnout - way, way beyond anything I had expected, certainly not numbers I'd even dared to dream about! I was sold out really quickly. Which was good, but not good at the same time because so many people took the trouble to come and went away without trying my stuff. I felt I let them down, and I did. This was another lesson. Friends and family sent me cute piggy stuff to use at Hokus Porkus! Bacon Jam! I made two variants - One richly flavoured with Port, and one with the solid punch of Bhut Jolokia chillies. 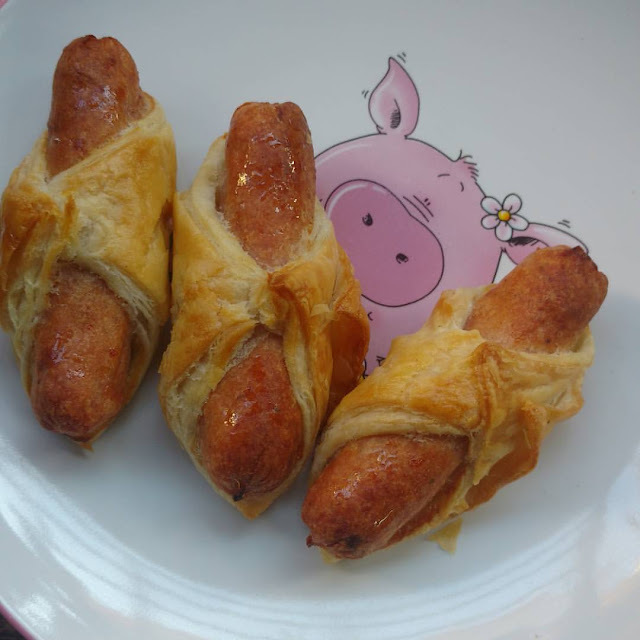 Pigs in Blankets with beer - a marriage made in heaven!